Burundi is one of the world’s poorest countries and over a decade of war has left the country in a constant state of instability. The unstable political situation and election tensions in 2015 led to weeks of violent protests which badly affected the economy and left the most vulnerable people in society in an even worse situation than before. Tens of thousands of Burundians left their homes in fear of the violence and fled to neighboring countries, particularly Tanzania and Rwanda. Tanzania is currently hosting over 110,000 Burundians within two camps, Nyarugusu and Nduta, which was recently opened to relieve overcrowding. More refugees continue to arrive in their hundreds every day and aid agencies face difficult decisions about where to use their limited resources. 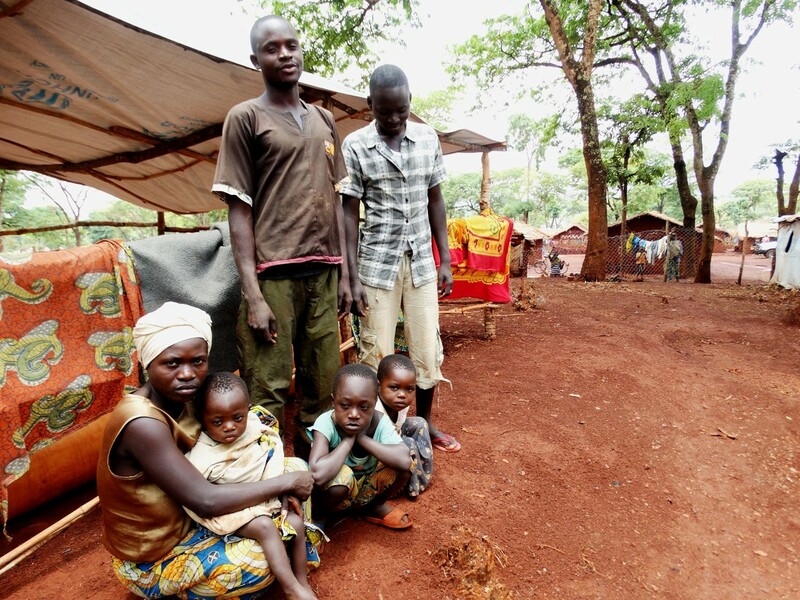 Oxfam has been working to support Burundian refugees in Tanzania since May 2015. Oxfam is leading on water and sanitation for Burundians living in Nyarugusu and Nduta camps, in Kigoma region, western Tanzania. We are installing water supplies and tap-stands, constructing water storage tanks, toilets, bathing shelters and hand washing facilities, as well as digging rubbish pits. 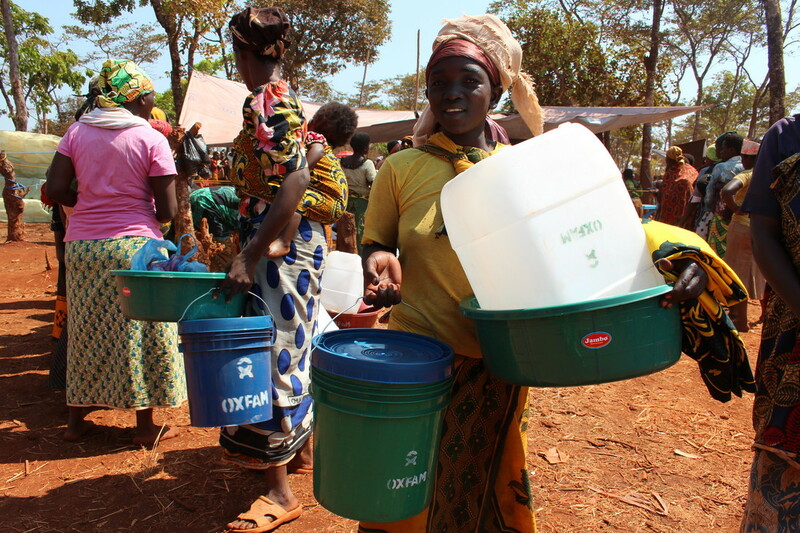 Refugees collect Oxfam water and sanitation equipment in Nyarugusu camp. Photo: Bill Marwa. Like many Burundians, Irakunda was forced to flee her home with her husband and son in September this year due to political unrest. 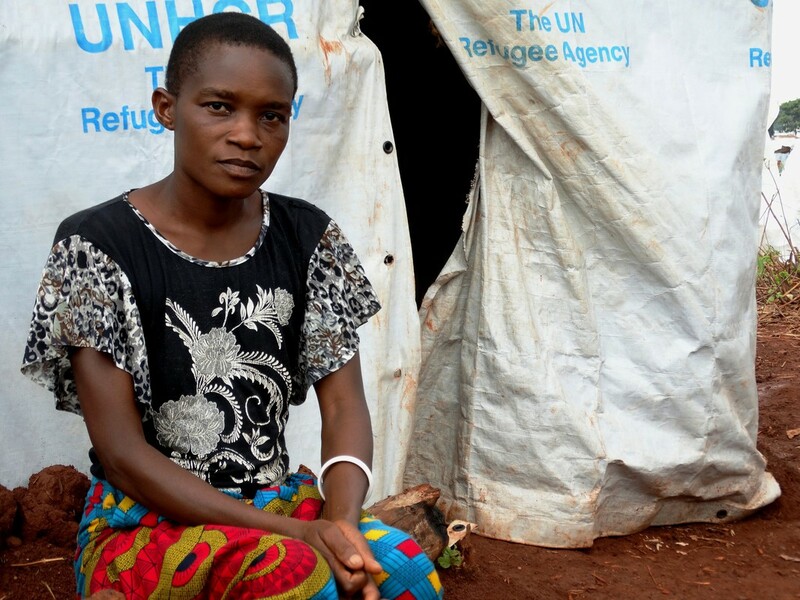 Irakunda, who fled her home in September, outside her family tent in Nyarugusu refugee camp, Tanzania. Photo: Mary Mndeme. Even when it doesn’t rain, firewood for cooking is hard to find, cooking resources, like pots and pans are scarce and food rations are small which means the family are often hungry. Despite all this, Irakunda is grateful for the food aid she receives and that her son, unlike younger children, is able to digest the food which is distributed. “I wish I had more money to help me buy food and improve our diet. The health of my family is not very good” she says, explaining that she lost her bicycle at the Tanzanian border. Without transport, opportunities to work are rare so for now Irakunda and her family try to get by on the food aid. 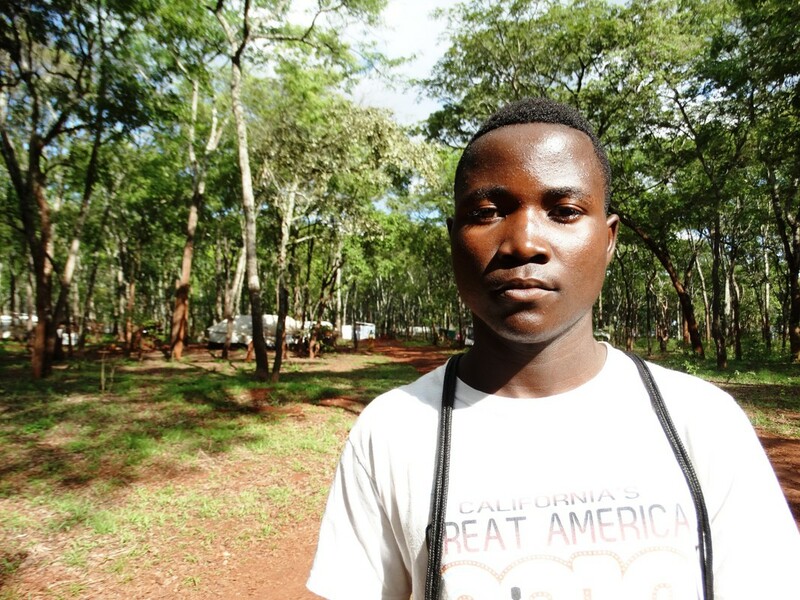 Hakizimana came to Tanzania in the hope of finding his family who had fled his home while he was away at school. Photo: Anita Kattakuzhy. Hakizimana came home from school at the beginning of his holidays to find that his family had disappeared. “I came to Tanzania on the 10th of October 2015. I wanted to look for my family” but unfortunately, he found himself alone in Nduta, while his mother is in Nyarugusu. He has been allocated a tent which he shares with six other single males. Minani, who was a farmer back home, has struggled not only with food shortages but with overcrowding. After witnessing his parents and younger brothers being killed inside their home, he, his wife and three children escaped to Tanzania to find safety. He spent three months living separated from his wife in an overcrowded mass shelter, which leaked in the rain and remained flooded afterwards, forcing them to build up the earth floor with sand. These flooded and damp conditions increase the risk of respiratory and waterborne diseases, putting the lives of hundreds at risk. Minami stands with his family before preparing to move camps. Photo: Mary Mndeme. Life might be better here than it would have been in Burundi but still more needs to be done so that we can better help people in need. Burundi is one of the poorest countries on the planet. With 8.1 million inhabitants in 2008, more than half the population is under 17 years old and life expectancy is only 51 years. Health and shelter for Burundian refugees in Tanzania are poised to get worse in already overstretched camps, the aid agencies Oxfam, HelpAge International, Plan International, Save the Children, International Rescue Committee (IRC) and the Danish Refugee Council (DRC) warned today, if there is an increased influx of refugees across the border.